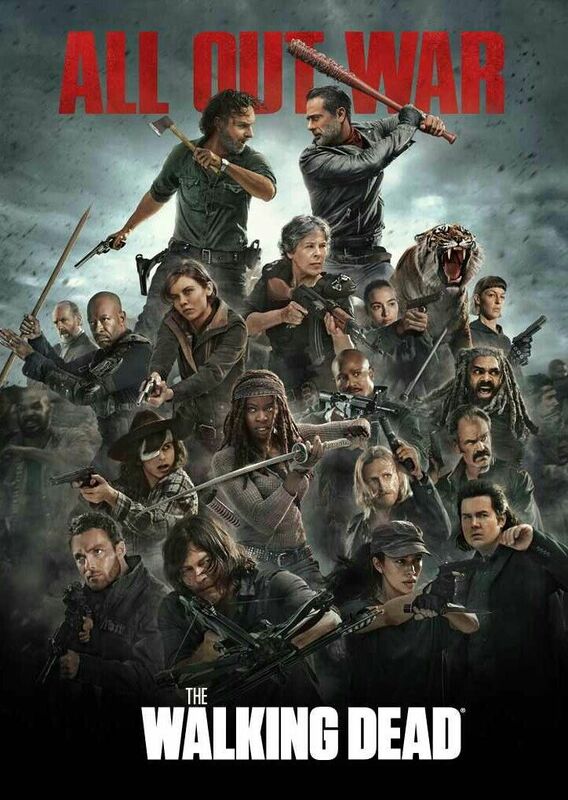 No longer bowing down to the narcissistic Negan (Jeffrey Dean Morgan), the citizens of Alexandria, the Hilltop, and the Kingdom have joined forces (not to mention armed themselves to the teeth) to show Negan and his army of “Saviors” that they will not be beaten into submission, no matter how high the odds are stacked against them. But with war comes sacrifice, and some of our heroes will have to not only sacrifice their lives for the greater good, but also their humanity. No matter how long a show is on for, it will inevitably succumb to cliché and predictability in the name of fan service. 8 seasons is nothing to sneeze at, but that doesn’t excuse recycling scenarios we’ve seen a hundred times by now. Like a character getting overwhelmed by zombies…only to be rescued at the last second. Or another character we thought was dead suddenly reappearing…only to go out in a tragic blaze of glory. Monotony is TV cancer, and I’m sad to say The Walking Dead has been afflicted with such. As with previous seasons, not a single character is in every episode (a hint that there are too many characters; a hint the showrunners never seem to take), so you’ll find yourself going long stretches not knowing if certain people are alive or dead. Reduced screentime is doubly problematic whenever someone gets killed off, as the viewer barely has time to reconnect with them before it’s too late. This lack of focus has been slowly building over the past few seasons, but it’s becoming truly intolerable now. Without focus, there’s no progression. And without progression, there’s no real story to tell. Character is everything on The Walking Dead. Or I should say: was. These characters became so popular at the beginning of the series because they were heroic, likable, and the kind of people you’d want on your team in a zombie apocalypse. But as of Season 8, many of them have become irredeemable. Daryl (Norman Reedus) has little more to do than kill people while expressing how not-sorry he is about it. Maggie (Lauren Cohan) complains, complains, and complains some more, making me think Negan killed the wrong person. And Rick (Andrew Lincoln) proves that a leader’s word is meaningless, going so far as to give a group of scared people hope only to stab them in the back with it. It’s one thing to have people cross certain lines when it’s for the greater good, but this is textbook sociopathic behavior. Partway through the season, I found myself beginning to root for the villains. Is that what the showrunners intended? The most likable character in the entire season, by far, is Simon (Steven Ogg), Negan’s right-hand man! Sure he’s a psycho, but he’s entertaining, he has a clear goal, and he keeps his focus on achieving it. The “heroic” characters, conversely, are all over the place; first killing everyone they find, then taking prisoners, then killing said prisoners, then discussing a non-killing solution for everyone, then killing everyone again — I give up. On a positive note, having a mid-season finale isn’t so much of an issue on the storytelling this time around, but that’s both good and bad, as having a war-obsessed central plotline blurs the entire season into the most sluggish experience yet. Even binge-watching it, it feels like quite a slog to the finish line. Speaking of which, the season finale wraps things up a little too neatly for a plot that was meant to be chaotic, but it gives some hints of civil unrest back home, suggesting a new war ahead. Regardless, by the end of the season, whether you’re satisfied with the war’s resolution or not, you’ll certainly wonder why it took 16 episodes to get there.